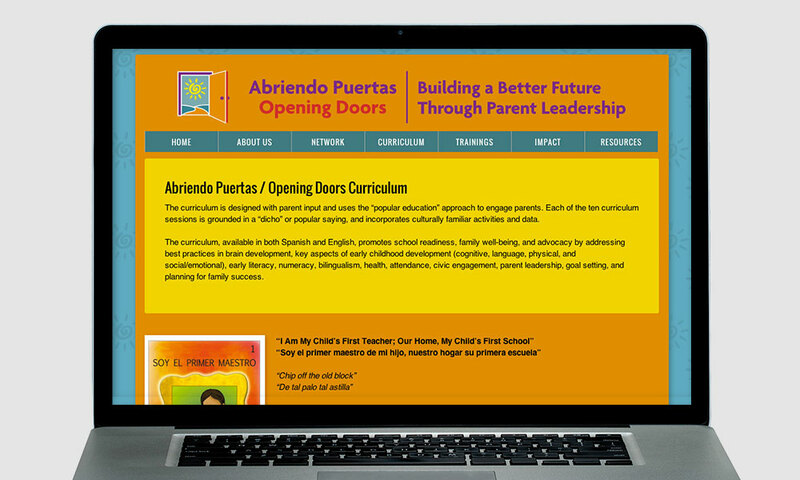 Abriendo Puertas / Opening Doors is a non-profit dedicated to decreasing the drop-out rate of Latino kids by instilling good behaviors at home. They believe the answer starts at home so their primary focus is on educating their parents. AP/OD holds training sessions where they teach parents different things they could do with their kids to better engage them and acclimate them to a learning environment. 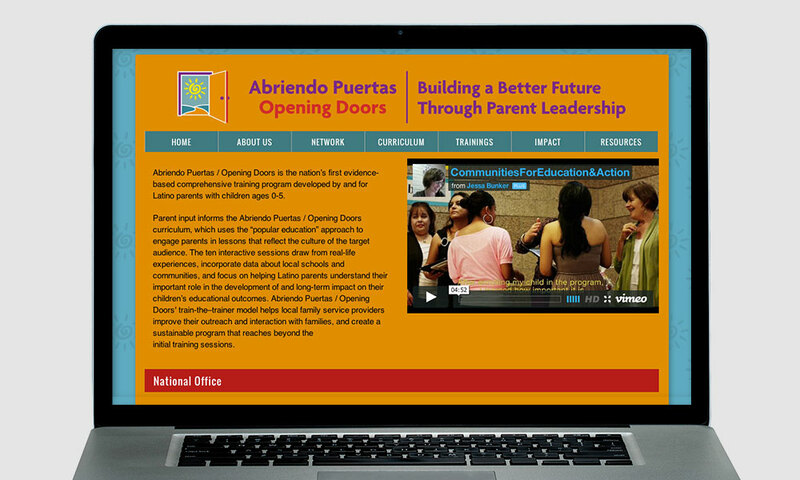 AP/OD needed an informational site where parents and educators could come to find out more about the organization, where trainings would be, and a place where educators could access teaching materials. 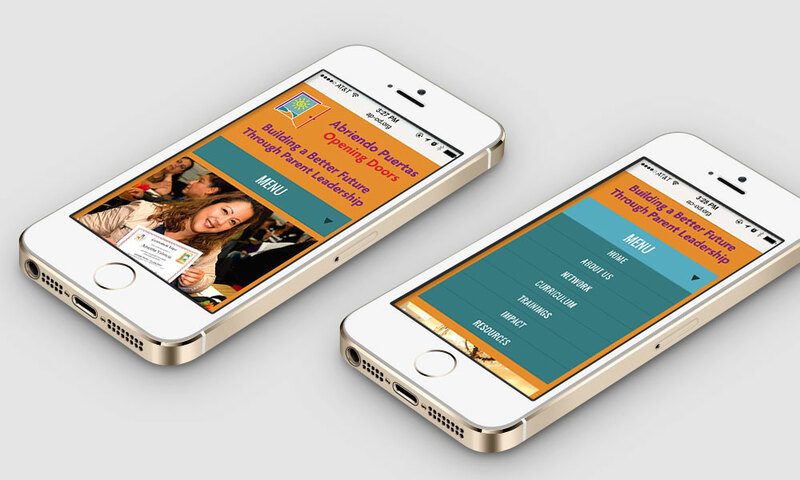 After getting approval on the overall look of the site, we built the site based on the Skeleton framework. 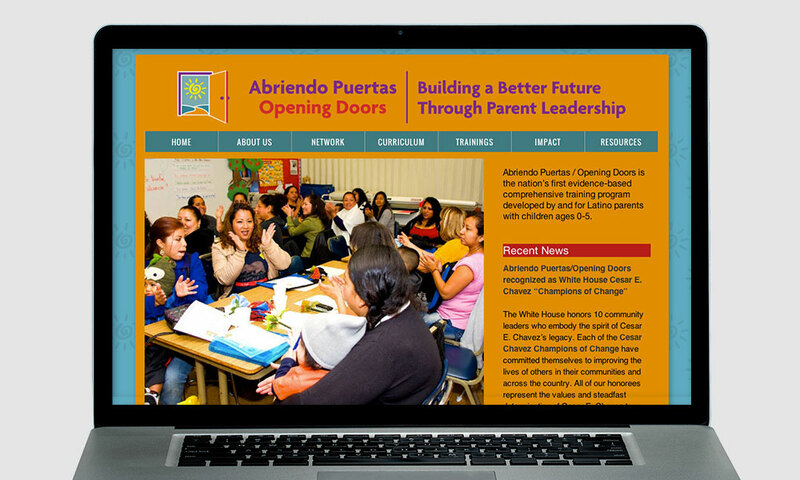 After a few rounds of going back and forth, we streamlined the content of the site with PHP. 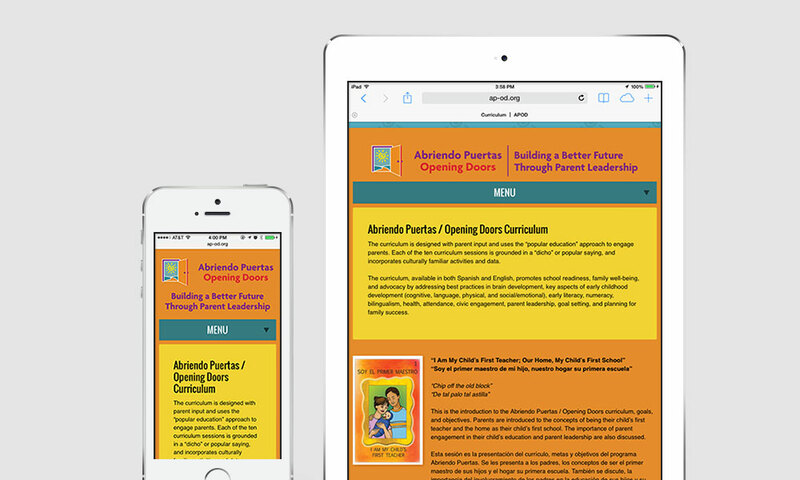 They now have a beautiful site that looks great on all devices.